Caption: New study on high transaminase levels in celiac disease. Celiac.com 07/13/2011 - Some people who follow a gluten-free diet due to celiac disease may develop unusually elevated levels of liver enzymes, according to researchers from Finland. The results are reported online in the American Journal of Gastroenterology. Contrary to some earlier studies, the results show that only a small minority of these celiac disease patients showed elevated transaminase levels. Dr. Markku Maki from University of Tampere points out that doctors don't routinely test transaminase levels in newly diagnosed celiac disease patients. With this in mind, the research team examined the prevalence and gluten dependency of hypertransaminasemia in 313 untreated and 339 treated adult celiac disease patients and in 237 nonceliac control subjects. They checked transaminase levels in 130 celiac disease patients at diagnosis and after one year on a gluten-free diet. They also conducted a before and after gluten challenge in 25 treated celiac patients who showed clinical remission. Their cross-sectional study showed elevated aspartate transaminase (AST) levels in a similar proportion of untreated celiac patients (11%), treated celiac patients (8%), and healthy controls (9%). Earlier studies showed that up to half of celiac disease patients may have elevated serum liver enzyme levels at diagnosis. The celiac patients showed significantly higher rates of hypertransaminasemia when their celiac symptoms were severe or moderate than when their symptoms were mild or nonexistent (23% vs 9%; P=0.03). The team suggests that routine investigation of liver enzymes in celiac disease patients would likely provide the same yield as in the general population--"at least in populations with high clinical prevalence of celiac disease," they say. They further suggest that clinicians reevaluate strategies for routine investigation of liver enzymes in celiac disease patients. After one year, results of the gluten-free diet trial showed that serum AST levels dropped significantly, even to normal levels, in conjunction with the disappearance of clinical symptoms. In the gluten-challenge study, gluten antibodies reappeared in the blood samples of nine of the 25 celiac patients who had previously been in clinical remission. 18 of the 25 developed gastrointestinal symptoms. AST and 11 patients showed elevated levels of alanine transaminase (ALT). When the patients resumed their gluten-free diets, their symptoms resolved, serum endomysial antibodies became undetectable, and serum transaminase levels returned to normal levels. Dr. Maki says that "gluten may induce liver disease in celiac disease patients. Even if the liver manifestation is infrequent and mostly mild." This is a potentially important discovery, because as Dr. Maki points out, when people with celiac disease regularly consume wheat, rye, and barley gluten, "the environmental insult in celiac disease, seem to trigger an autoimmune loop in genetically susceptible persons where formed autoantibodies target the autoantigen, transglutaminase 2, also in the liver." Dr. Maki adds that the biological implications of this can be studied further. In the meantime, he stops short of recommending routine screening with liver function tests when celiac patients are first diagnosed, saying that there is simply no evidence to support that practice. However, he does say that if a case finding for celiac includes elevated liver enzymes, patients should be checked for normalization of liver values once on a gluten-free diet. I though the article said that there was no difference between celiac and normal, so I don't understand your title? Read the article. It's more about liver function as it relates to celiac disease. Note: Dr. Maki says that "gluten may induce liver disease in celiac disease patients. Even if the liver manifestation is infrequent and mostly mild." Note the the conclusion: "if a case finding for celiac includes elevated liver enzymes, patients should be checked for normalization of liver values once on a gluten-free diet." 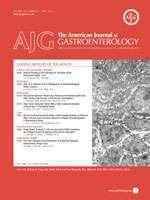 Celiac.com 07/03/2009 - A new study provides demonstrates that small intestinal bacterial overgrowth and increased intestinal permeability are both associated with non-alcoholic fatty liver disease (NAFLD). Previous studies have suggested that bacteria from the intestine might play a role in NAFLD, which is the hepatic component of the Metabolic Syndrome. NAFLD can worsen to nonalcoholic steatohepatitis, and some experts have wondered if this progression might be promoted by liver exposure to gut bacteria. A team of researchers, led by Antonio Grieco of Rome, set out to answer this question by investigating gut permeability in patients with NAFLD and comparing the results to patients with untreated celiac disease and known susceptibility to this condition, and with healthy volunteers. The research team included Luca Miele, Venanzio Valenza, Giuseppe La Torre, Massimo Montalto, Giovanni Cammarota, Riccardo Ricci, Roberta Masciana, Alessandra Forgione, Maria Gabrieli, Germano Perotti, Fabio Vecchio, Gian Ludovico Rapaccini, Giovanni Gasbarrini, Christopher Day, and Antonio Grieco. They studied 35 patients with biopsy-confirmed NAFLD, 27 with celiac disease and 24 healthy volunteers. For each participant, the research team checked levels of small intestinal bacterial overgrowth using a glucose breath test. They evaluated intestinal permeability by examining urinary excretion of Cr-EDTA. They then assessed the integrity of tight junctions within the gut via duodenal biopsy. The authors hypothesize that small intestinal bacterial overgrowth and/or the associated increase in gut permeability may cause steatosis. This hypothesis is supported by studies on mice, and by reports that probiotics can improve steatosis resulting from a high fat diet. One important note was that the study showed no connection between either small intestinal bacterial overgrowth or intestinal permeability and steatohepatitis or fibrosis, which suggests gut bacteria do not play a role in the transformation of NAFLD to more serious liver disease. "In conclusion," the authors write, "we have demonstrated that NAFLD is associated with increased intestinal permeability and small intestinal bacterial overgrowth and that these factors are associated with the severity of hepatic steatosis." According to colleagues Elisabetta Bugianesi and Ester Vanni of the University of Turin, "The study...raises the possibility that gut microbiota and intestine permeability are important mediators of diet-induced metabolic disturbances in NAFLD." Bugianesi and Vanni add that lifestyle-focused therapy would likely present the best treatment for NAFLD, but suggest that influencing gut flora by antibiotics, prebiotics, and probiotics might help offset the effects of unbalanced diets on metabolic conditions. Article: "Increased Intestinal Permeability and Tight Junction Alterations in Non-Alcoholic Fatty Liver Disease (NAFLD)." Editorial: "The Gut-Liver Axis in Nonalcoholic Fatty Liver Disease (NAFLD): Another Pathway to Insulin Resistance?" Bugianesi, Elisabetta; Vanni, Ester. Hepatology; June 2009. Celiac.com 03/16/2015 - Researchers don't really have too much data on celiac disease in patients with cryptogenic cirrhosis or idiopathic noncirrhotic intrahepatic portal hypertension (NCIPH). In India, a research team recently set out to look for celiac disease in patients with portal hypertension. The research team included Rakhi Maiwall, Ashish Goel, Anna B. Pulimood, Sudhir Babji, J. Sophia, Chaya Prasad, K. A. Balasubramanian, Banumathi Ramakrishna, Susy Kurian, G. and John Fletcher. For their study, the team enrolled 61 consecutive patients with portal hypertension having cryptogenic chronic liver disease, including 14 with NCIPH, along with 59 patients with hepatitis B- or C-related cirrhosis as control subjects. They looked at tissue transglutaminase (tTG) antibody and duodenal histology in study patients. They found six cases of celiac disease, including two NCIPH patients, while they found none in control subjects. Duodenal biopsies for a significant percentage of the remaining study subjects showed villous atrophy, crypt hyperplasia, and lamina propria inflammation, not accompanied by raised intraepithelial lymphocytes (IELs), far more commonly than in controls. Study subjects with portal hypertension having cryptogenic chronic liver disease showed an unexpectedly high rate of tTG antibody positivity (66%), as compared to 29% in controls (p-value < 0.001), which could indicate false-positive test result. This study showed that 10% of patients with unexplained portal hypertension (cryptogenic chronic liver disease) had associated celiac disease. In addition, an unexplained enteropathy was seen in a significant proportion of study patients, more so in patients with cryptogenic chronic liver disease. This finding warrants further investigation.